아주 좋은 몬세라트에 위치한 562 Nogaro 숙박시설은 부에노스아이레스의 레스토랑, 관광, 문화 지역에 있습니다. 이곳에서 생생한 도시의 모든것을 쉽게 즐기실 수 있습니다. 이 현대적인 호텔은 도심 근처의 만자나 드 라스 루세스, 무세오 델 카빌도, 카사 드 라 컬처라 같은 유명한 명소가 있습니다. 562 Nogaro 숙박시설은 손님들의 쾌적한 휴식을 위해 각 시설과 서비스를 제공합니다. 24시간 프런트 데스크, 장애인용 편의시설, 여행 가방 보관, 룸 서비스, 회의시설 등 적지 않은 시설들이 있는 562 Nogaro 숙박시설은 도심에 있는 다른 호텔들과 비교하여 현저하게 독특합니다. 562 Nogaro 고유의 분위기가 모든 객실에 반영되어 있습니다. 또한, 에어컨, 난방, 모닝콜 서비스, 책상, 미니 바 등이 대부분의 객실 내에 구비가 되어 있습니다. 호텔에서 지내는 동안 레크레이션 시설 등 풍부한 시설을 이용하실 수 있습니다. 이상적인 위치와 시설이 잘 어우러진 562 Nogaro 숙박시설은 다양한 옵션을 마주 할 수 있는 곳입니다. Olor a humedad. Tv no plano y pequeño, cama incómoda. I found the staff extremely helpful on the front desk to arrange transport, advise excursions etc, the hotel is in a good location close, to subway and Florida Street (pedestrian street) and other attractions. 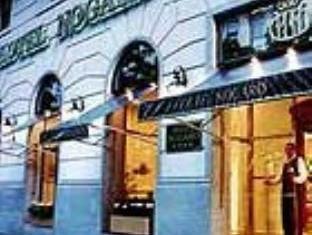 Nogaro Hotel is in the center of Buenos Aires, just a few minutes walk from the Plaza de Mayo. It is in at a walking distance to 3 subway stations, which was very convenient to get around the city. The room was clean and comfortable. We especially liked the breakfast, which had variety of fruits, bread, and deserts. The front desk staffs were very helpful and arranged 2 tango dinner shows for us. We would definitely stay there again if we visit Buenos Aires. Overall we were quite pleased. 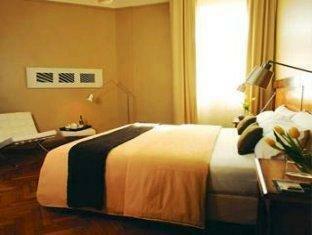 The hotel is well located near plaza de mayo and subte stations. Breakfast was ok and staff was friendly and efficient. Rooms were slightly aged but clean with very comfortable beds. Keep an eye on the goods and service taxes that are 20%. We didn't know this before and were quite surprised. Great location in the centre of downtown buenos aires. The hotel is in a relatively quiet street but is just a few seconds away from Plazxa de Mayo, San Telmo Markets (Sunday), Florida Street (a 30 minute walk up this takes you to the Ricoleta District) and a couple of subway stations.Excellent breakfast at the hotel amd staff addressed problems efficiently. My room's safe didn't function and I was given another room immediately. The ceiling light had blown and it was changed within minutes. The two business centre computers were hopeless. One had no or limited internet connection and the other had no Word or Acrobat Reader programs. I'm sure that will be rectified. Overall I was quite satisfied. Things can go wrong but it's how they're dealt with that is important. The staff were exemplary. The airconditioning was delightful (30 degrees plus outside, 24 degrees inside) and the bed was very comfortable. Friendly, helpful staff. Rooms and commona reas clean and well preseted. The hotel is centrally located for tourism, business and shopping. Rooms are in need of an update in some areas. We enjoyed our stay at this boutique style hotel. Super friendly and helpful staff. We stayed 6 days at the 562 Nogaro. The location is great. Near several Subte stops and near the Florida pedestrian mall. Close to the Catedral and the president's mansion and a reasonable walking distance to San Telmo. When the Teatro Colon reopens it will be walking distance to it. Also close enough to the movie theatres. The lobby looks great but the rooms are aging a little. Staff were helpful and the breakfast ample. I would happily return. The room is little bit small, comparing some others I have been staying in Buenos Aires. The most important is the room is not clean at all. I can find spider net in our bath room. I can not control the air condition. The is one night the air condition was working bad. The air is so hot ( as shown 30 degree ) and very hot. Originally, I made a reservation after my back from Tucuman and I would like to stay in Buenos Aires for 3 days more. If you like to eat steak, we can recommend the "Las Nazarenas"
der aufenthalt im hotel war sehr angenehm. die lobby und die rezeption sehr schön, die zimmer sind teilweise ein wenig abgewohnt. aber für 3 sterne ganz gut. ordentliches frühstück. personal sehr nett, vor allem an der rezeptin. insgesamt empfehlenswert. Gostamos muito da estadia no Nogaro, hotel limpo,café da manhã exelente,hotel agradável, quarto com ótima apresentação, só os banheiros que não foram reformados, mas atenderam bem as nossas necessidades. Recomendamos.